This fortnight, the topic is Leaning Tower of Pisa seen from an open doorway in Pisa, Italy. This picture was shot by my small Olympus C370 camera. Even the tallest can sometimes look small before our eyes, depending on the means with which we see them. But realising the truth that what we see can sometimes be false, is a true wisdom. 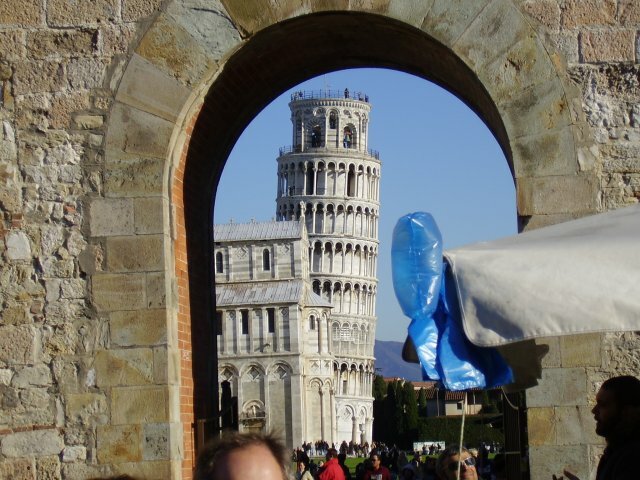 To read about the leaning tower of pisa go to one of my previous topics (topic 18).